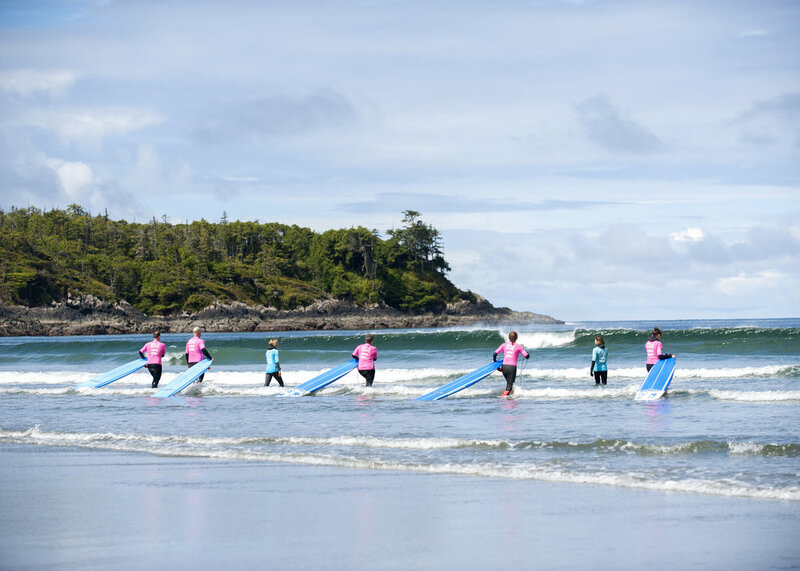 Our co-ed daily group lessons are suitable for anyone who is newer to surfing. 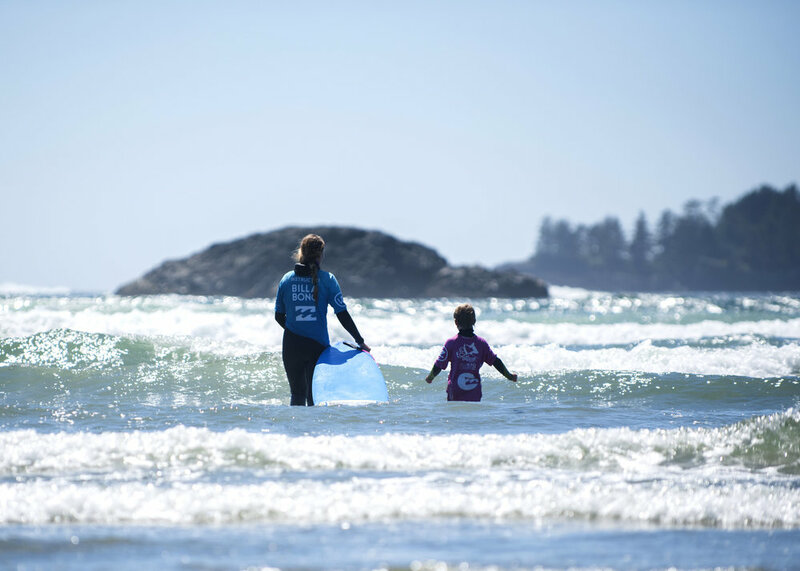 The Day 1 Lesson is great for the beginner. 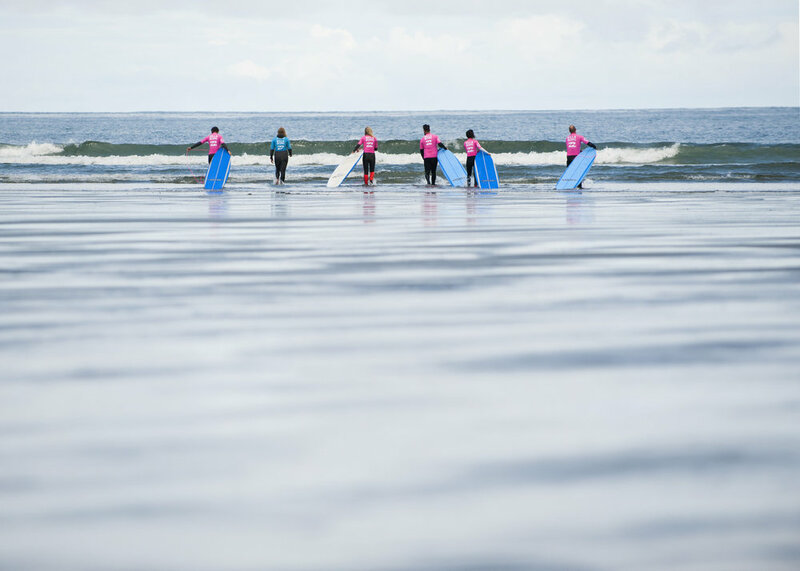 You will learn the basics and get a grasp on what surfing is all about. 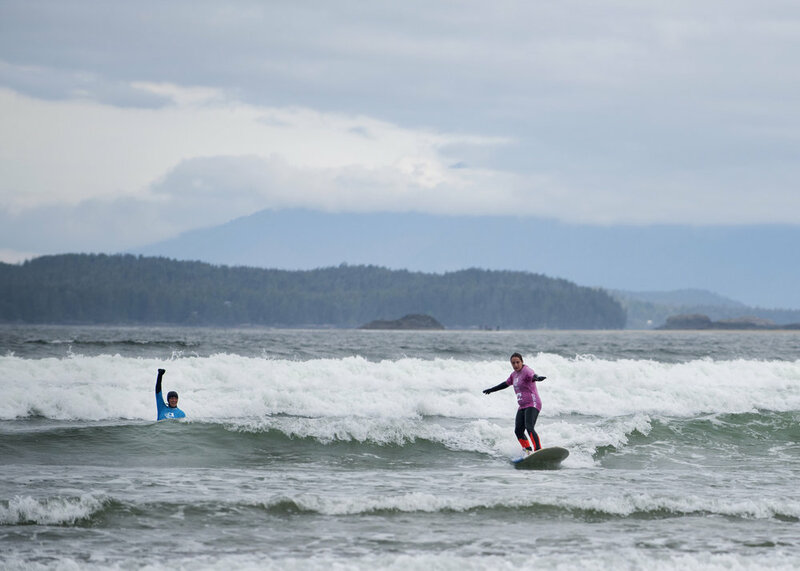 Once you have learned the basics you can dive deeper into surfing with our Day 2 Lesson. 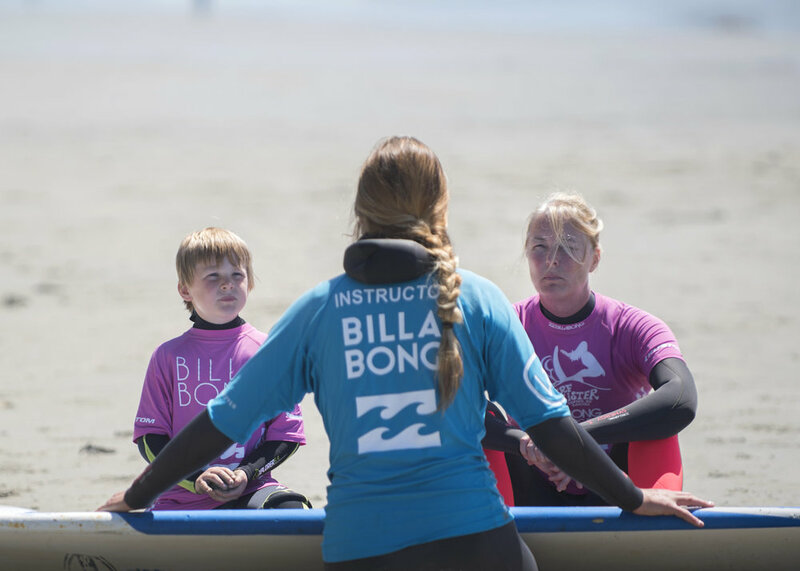 These lessons run three hours, include quality surf instruction and a maximum ratio of five students to one instructor. Check out a more detailed description below! 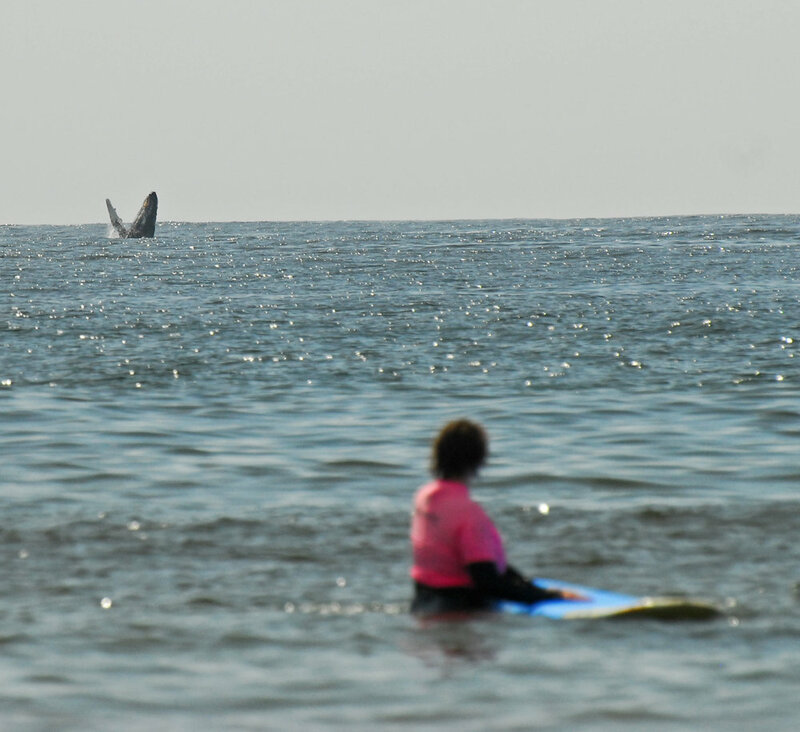 You are responsible for your own transportation to and from the beach. 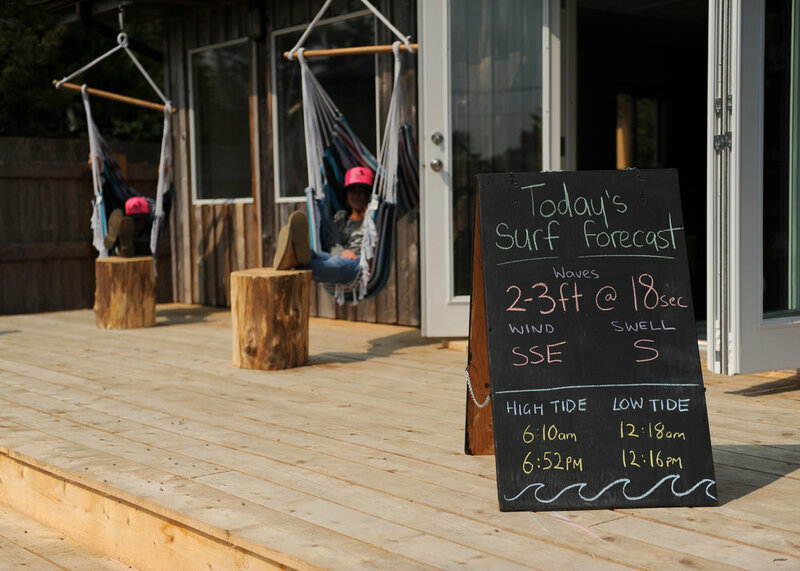 Please arrive at the Surf Sister Shop 30 minutes before your lesson time to check in and sign the waiver. Please bring a bathing suit to wear under the wetsuit and a towel for afterwards. 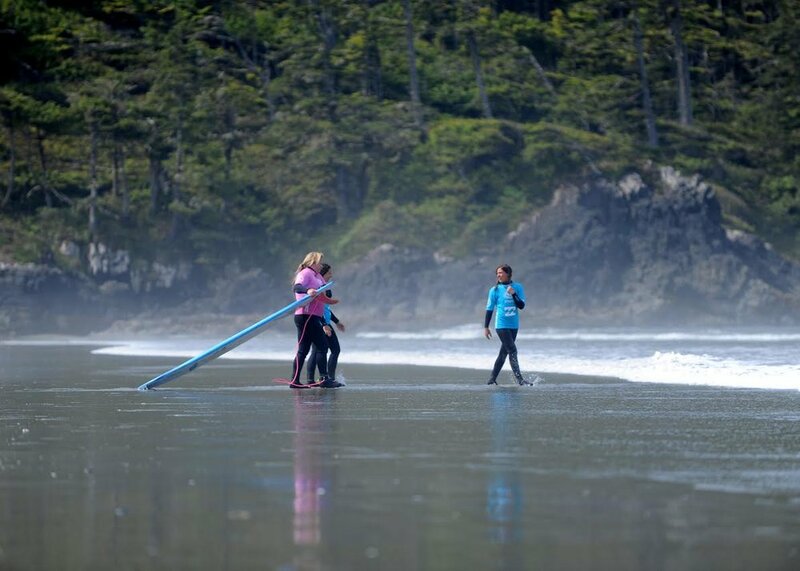 Following the theory, we head out to waist deep water where you’ll enjoy catching tons of whitewater waves and learn from the tips our experienced instructors have to share. *Prerequisites – students must have basic swimming skills and be 12 years or older (over 5 ft and 100 lbs). 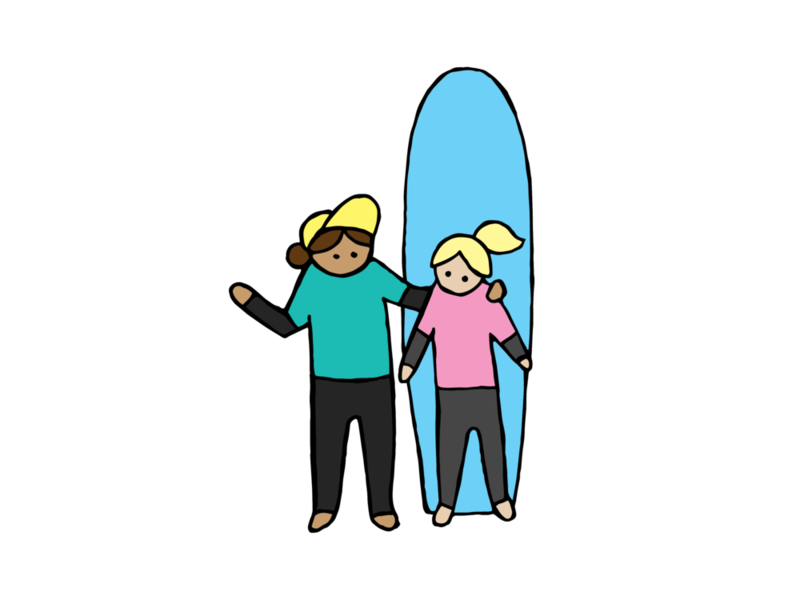 There will be the opportunity to paddle ‘out back’ to attempt to catch green waves if conditions allow it and if all students are feeling comfortable and capable. 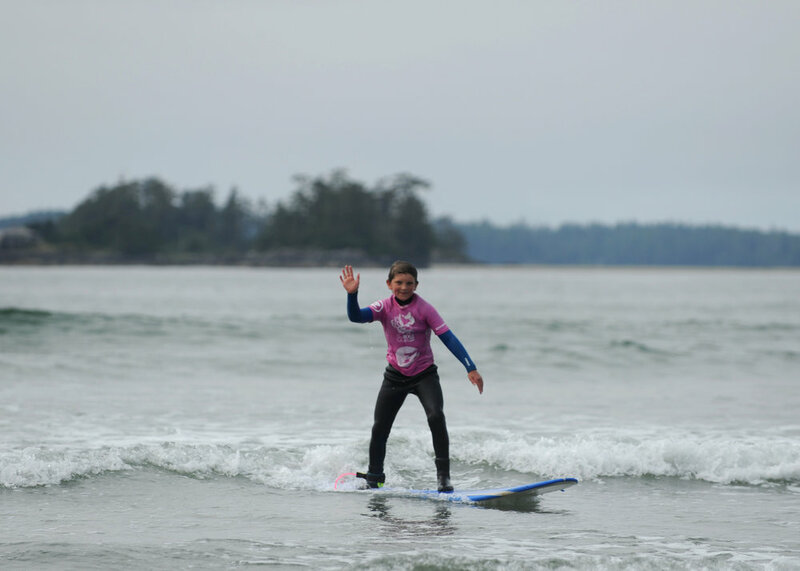 *Prerequisites – students must have decent swimming skills, be 12 years or older (+5 ft and 100 lbs) and have taken either a Day 1 or Private lesson from us recently. Please contact us to book a Day 2. Not able to book on the day you would like? Give us a call! We may be able to work something out. 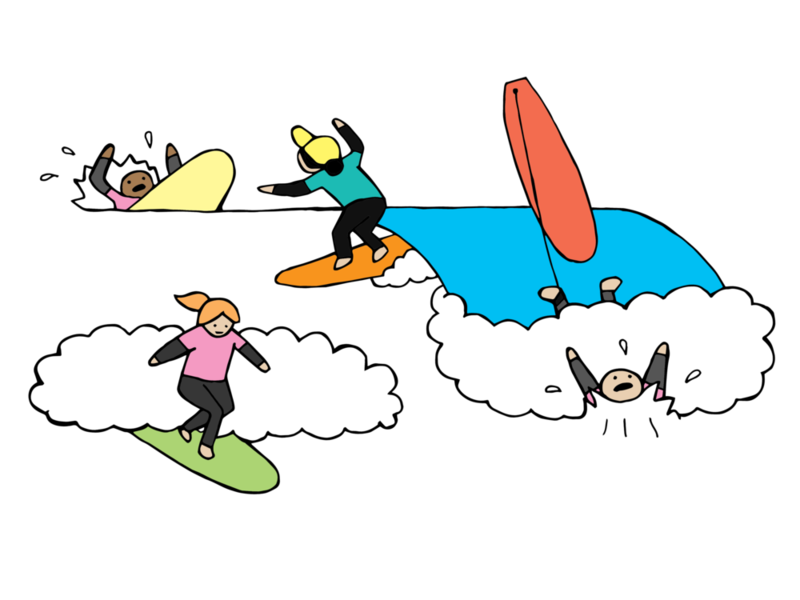 There’s nothing better than getting together to try something new, exciting and challenging. 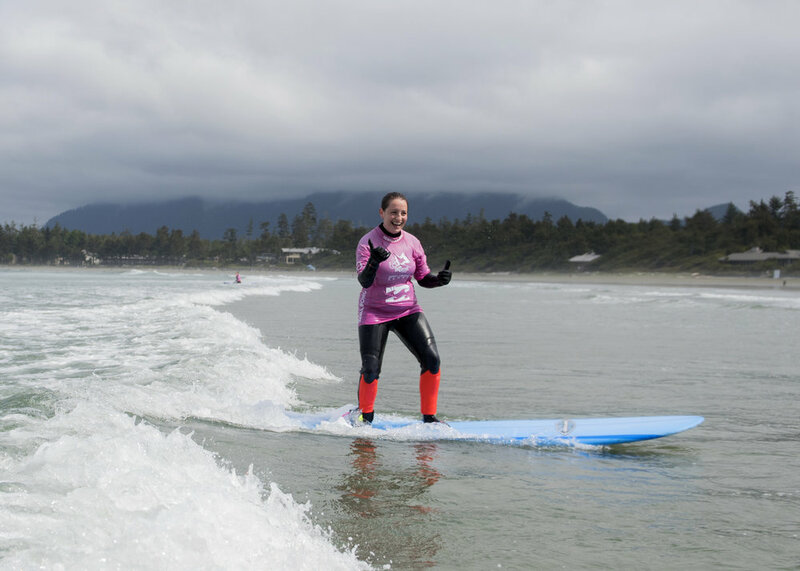 From school groups to corporate retreats, ESL groups to a girl’s weekend getaway, the inspiring sport of surfing offers a great excuse to get outside and live in the moment in an exciting – and safe – environment. It can also help to improve confidence, encouraging a healthier lifestyle, and it’s a great opportunity for non academic achievers to achieve something special. We offer group rates on our regular group lessons starting from 6 or more people and getting progressively better as the group gets bigger. 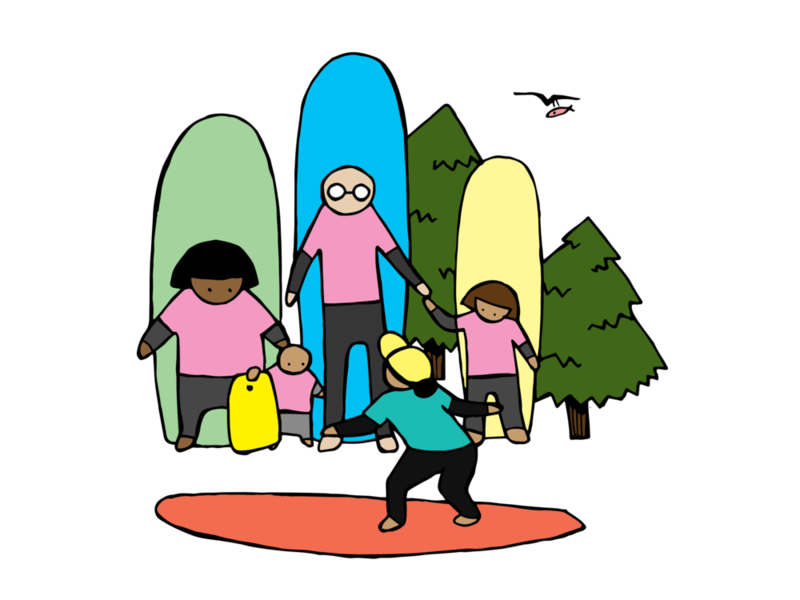 We have worked with many groups ranging from larger families to corporate retreats, along with Schools Districts across Canada. 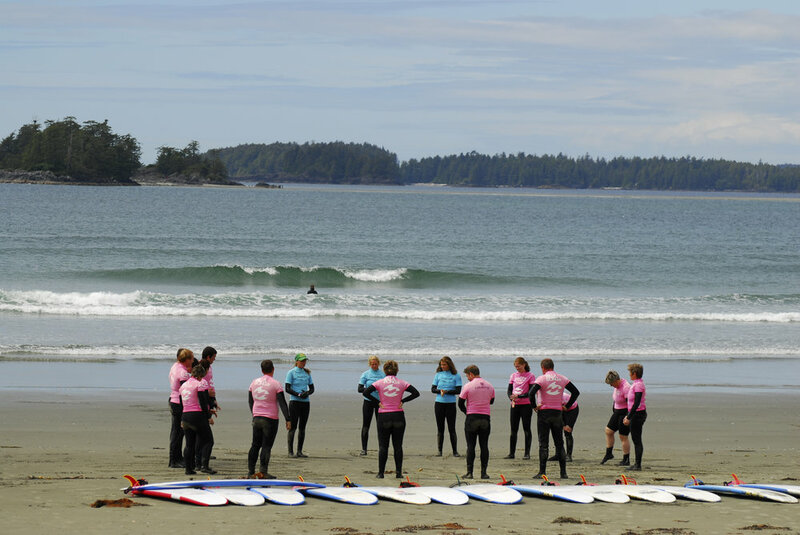 We also regularly work with Girl Guides Canada and ESL groups. 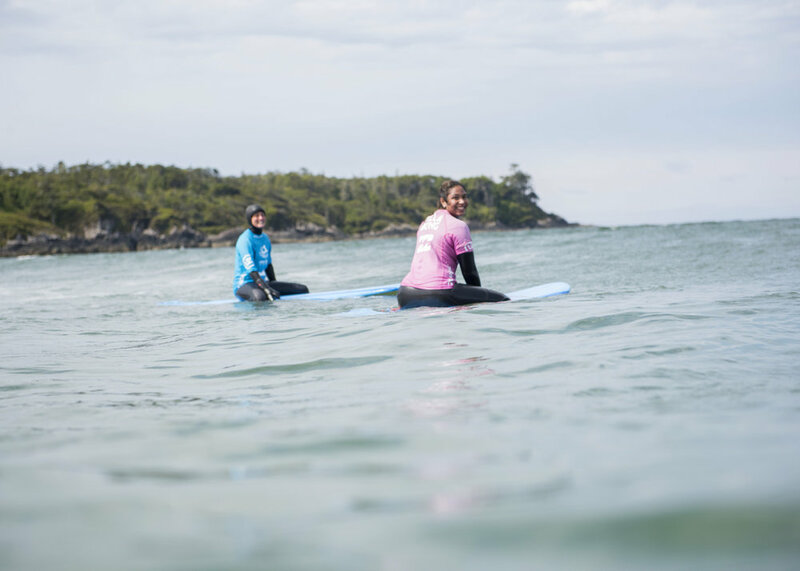 FOR DETAILS AND TO BOOK PLEASE EMAIL INFO@SURFSISTER.COM OR CALL 1-877-724-SURF. **Group rates are not offered on long weekends or during July and August.